Home Security Cameras For Tucson | Central Alarm Inc.
Tucson has one of the highest violent crime rates in the state. Don’t be a victim, take preventative measures. Home security cameras are technology’s latest way in defending our homes against unwanted intruders. If you’re living in a city that has one of the highest violent crime rates in the state, home security cameras can be the difference between being a victim or making a difference in your community. There are many different forms of home security cameras, with newer ones being the simplest and easy to use. Different options will allow you to complete different tasks, there are some of your more standard home security cameras that you’re already familiar with and then there are the newer security cameras. 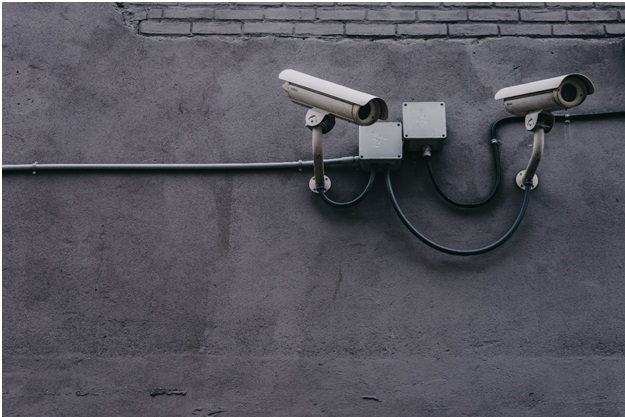 The newer security cameras not only watch your home but allow you to tap into a live stream feed of what your camera is seeing at any given moment. No need to worry about a long set up process to get these cameras up and running. Central Alarms offers a clean and swift residential service to get your home set up and ready to go against possible invaders. When it comes to safety and your family’s well-being, one can never be too safe. Home security cameras are sweeping the nation at an accelerated rate. Before they were messy and hard to use, with finicky mediums. Now you have full access as to how you monitor. Which means less trouble for homeowners, but with all the control still at their fingertips. Home security cameras can be the key difference when discussing the future and longevity of your homes safety. Why even take the chance? The FBI even records that the most common threat to our homes is burglary. In a city with a crime rate that is already elevated like Tucson these threats we face are multiplied. Why even take the chance? With home security cameras installed there are no chances, simply security. It’s not just you, there are many other Tucson natives that have come to Central Alarm for security cameras. Central Alarms doesn’t offer just one plan, they have a multitude of different options that all cater to your needs. In the United States, home burglaries occur every 13 seconds, though these home burglaries are more prone to happen much more frequently in cities with a high violent crime rate, such as Tucson. Each year police only clear (that is, solve) about thirteen percent of burglaries, this is due to there not being a witness at the scene of the crime. Home security cameras can easily prevent this from ever happening, especially if they are being live-streamed. Essentially you would be able to witness someone breaking into your house right as it is happening. Instead of older cameras which could only replay the act of the crime after it has already been committed. Statistics show that houses with home security cameras and a type of home security system are generally ignored by criminals due to the extra effort that is needed to burglarize these homes. In fact, most burglars that break into homes with home security cameras installed don’t even realize they are being watched. Certain alarm systems will make an alarming noise which will then deter or scare the burglars. However, with a home security camera installed the chances of you catching the burglar in the actual act of breaking and entering is significantly higher, and here’s why: home security cameras although very preventative and useful in deterring robberies are completely silent. Which means as the criminals are breaking and entering unless you have an alarm system, they don’t, in fact, know they are being watched. If you have a home security camera that can live stream, you can watch them break into your house live while you’re calling the police. Instead of an alarm that would scare the criminals away, there is a much greater chance that the police will show up while the criminals are in the actual act of breaking in your house. Which is much better considering they are being caught in the act of the actual crime instead of attempting it.